Two years ago, a friend of mine who is a year younger than me, asked me if I would be interested in seeing Despicable Me 2 at the cinema. I was reluctant at first for one second, but because we’re mates, I did not refuse. When I saw the film, it looked rather cutesy and obnoxious. I liked Gru’s character portrayal, but I found the minions irritating. My mate liked the film better than the first film. I did not see Despicable Me 1 until a year later when it was broadcast on ITV1 and I could sense why he didn’t like that one. To be honest, since Shrek The Third, cartoons, mainly CGI, seem to be going downhill, which is why I avoided the film. So could animation possibly be dead? As a kid, I was a bit of an animation bluff. Like many people, I definitely familiarised myself with and enjoyed Tom and Jerry and other cartoons by Hanna/Barbera, Looney Tunes, Deputy Dawg, some Disney cartoons, etc. But if you’re wondering about cartoons that were produced from my time (1990-onwards), the ones I watched include The Simpsons, The Animals Of Farthing Wood, Sonic The Hedgehog, Secret Squirrel, Garfield & Friends, so many TV animations to name, and they were awesome! Film-wise, I watched some films from the Disney Renaissance, especially The Hunchback Of Notre Dame, Tom & Jerry: The Movie, Antz, some Pixar. Plus when I was thirteen, I watched the South Park movie (yeah I know, I was naughty considering the BBFC rated it 15). Many of these media products from my birth-onwards were enjoyable experiences. So how is it that I’m feeling put off by 21st Century animation? Well, I don’t feel that way for all the cartoons from that era. I love Atlantis: The Lost Empire, mainly because of its stunning visuals, strong liberal values and well-developed characters. I enjoy Family Guy for similar reasons, even if there’s occasional obnoxiousness and Brian’s over-clichéd needs for a human woman. When Pixar made Toy Story, a lot of us seemed thrilled, because it was the first feature to entirely use CGI. Then Antz came out and I kind of like that film better, because it’s more detailed. This is also why I most certainly prefer it to A Bug’s Life. Yes, I like the liberal message and Hopper’s cool for a villain, but the animation style of the ant characters is wrong. First of all, ants have six legs, not four. And why were they coloured blue? Antz was much less cutesy compared to A Bug’s Life. Relating to CGI animation in the 21st Century, the best one in my opinion is Robert Zemeckis’ Beowulf. The reason is because this was exactly what I was expecting from Pixar. Beowulf looked like a live action movie, hence how deeply detailed each human face was. But it was in fact animated, due to the lack of certain shadows. The human designs were still convincing enough for a cool CG animated movie. Beowulf demonstrated what CGI is all about; detail. Pixar could have made the effort for the human characters’ designs when they made Monsters INC, Finding Nemo and The Incredibles and a little less cartoony. It’s like seeing those awful CG characters that were constructed for the movie versions of Scooby-Doo, Garfield and Alvin & The Chipmunks. When I view CGI, I think something in the style of, say, Jurassic Park or Jumanji or Lord Of The Rings. I don’t picture myself seeing rubbery skinned men with plum-shaped noses. I have no problem with that on traditional animated movies, but if this is a CGI cartoon, it looks effortless in my opinion. Another thing that bugs me about this millennium’s cartoons is certain content included. Seriously, what is it with family movies and fart jokes? This sort of humour was only funny on stuff such as South Park, to name a few. They were given high certification, because of that. So why are censors not censoring Despicable Me and other cartoons? They’re rated U in the UK and G in the USA and yet they’re going overboard on the toilet humour. Just because a character’s farted, doesn’t make it funny. If you want to include farting in a movie, there has to be a certain point. In fact, this goes for all family movies, no matter what format they are in. This will be covered in a later blog. But the point is, many cartoon characters from the 21st century are so obnoxious or just plain annoying. Speaking of toilet humour, I dread to think what started this dreadful cliche for a family movie. 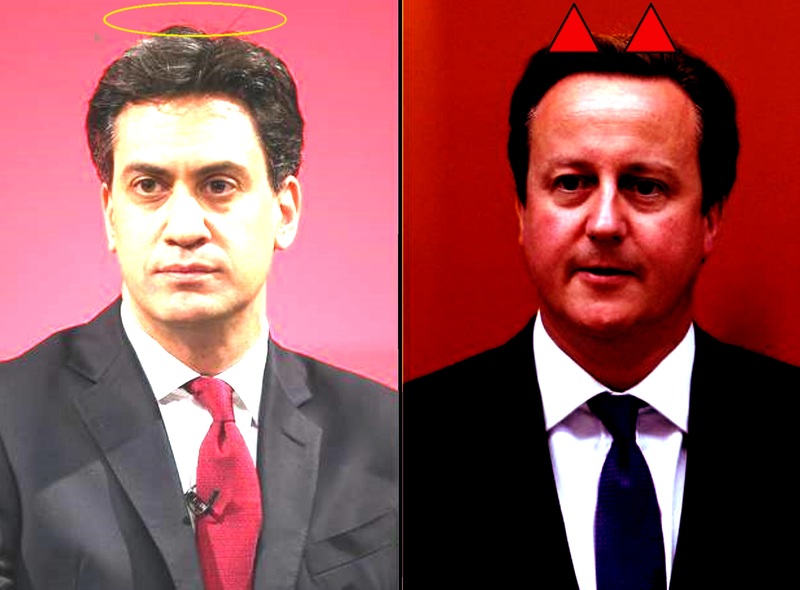 So who’s won this year’s general election? The answer may disappoint you. it certainly disappointed me. After posting the following blog Less Than A Week Till The General Election about a week ago, I was getting really hyped up for Labour to win. So readers can probably imagine how disappointed I feel after hearing the news that the Tories have won. It’s five years since the Tories pushed Labour out of 10 Downing Street and now we’re to face another five years under their power, another five years of torture, another five years of disaster. But what if the five years never end? What good have the Conservatives ever done for us? Okay, I admit the crisis occurred when Tony Blair was prime minister and he was involved in the Iraq war. But it doesn’t mean Ed Miliband was going to intimidate him, does it. Labour invented the National Health Service and they were extremely careful to it compared to the Tories. Sure we were in a financial mess before David Cameron took the PM’s seat, but the Conservatives just make things worse. They provide us insane promises ‘oh we promise a better health service’, b**ls**t! Staff members were reduced, opening hours were reduced, long queues, pessimism for patients to be cured, I remember earlier this year when I had an accident on my bike and sprained my arm, I was forced to wait an hour until I had the arm x-rayed. Plus the medical centre was full of bureaucrats. I’m serious. I came to particular rooms and receptionists were like ‘you need to go to such and such’. It’s a miracle I had it sorted in the end. But yet, I think of other patients who have to put up with this kind of bureaucracy and the thought of waiting so long for important and emergency check ups. I’ve said all about the NHS in the previous blog. There are other reasons why Labour are better than the Conservatives. Another thing terrible we’ve experienced is the fact that the college fees for students were raised at a totally ridiculous price. £9000? Who in the world could afford that? Labour intended to bring the fees down to £6000. This is a more reasonable price compared to £9000. And they intended to abolish zero-hour contracts. Now that the Tories have won this round, these may not happen and I cannot live through zero-hour contracts. Nobody in the world could earn a proper living through zero-hour contracts. This morning, I’ve read comments on Facebook expressing the disgust within the final result and I for one agree with them. Cameron, if you’re reading this, I hope you’re satisfied. We’re about to suffer another five years of torture, because of you. So go ahead and laugh. But if the NHS plunges to a permanently apocalyptic world and all the college students start living in poverty and more riots occur, we’ll all know who’s responsible. Less Than a Week till the General Election! As most of you in the United Kingdom know, the general election will take place on Thursday 7th May. Well today is Saturday 2nd, so there’s just about five days to go. Five days till the local polling stations open. Then after the polls close, we find out the result. So who will win? Labour, Conservatives, Liberal Democrats, the Green Party, (sighs) UKIP(! ), The Scottish National Party (SNP for short), or the Democratic Unionist Party. Personally, I’m rooting for Labour to win. For one thing and as most of you know, I have been a lefty for most of my life, as explored in one of my blogs (Why I Am Proud To Be A Lefty). Secondly, probably not many of you know that I am a member of the Labour party and have obtained membership to the party ever since I permanently finished my full-time education. When I was at college in Northampton, I was a member of a Labour-based society. After watching the political debate on ITV, I was really impressed with what Ed Miliband said. I was especially delighted to hear that he plans to improve things for young people. First he plans to lower the college fees from nine thousand down to six thousand. I was hoping for three thousand, but six thousand is certainly more reasonable compared to nine thousand. He also plans to abolish the bedroom tax and zero-hours contracts. This got me really invested, because most of my past jobs had zero hours and no routine-based schedules. I had suffered from receiving short notices and let downs from particular agencies including a catering-based company which I resigned from due to disagreements. Speaking of college fees, this is especially why I’m avoiding the Conservatives. My university years suffered through their government. Although this didn’t affect me due to the fact I began university a year before the fee rise occurred, I felt really bad for the newer students. I’m unafraid to say that I’m still disgusted with David Cameron for raising the fees from the reasonable enough three thousand to the ridiculous nine thousand quid amount. No student in the world could afford that! I also hate what the Tories did to the National Health Service and that they introduced the Bedroom Tax, which even put disabled people’s lives at risk. David Cameron cared for one of his kids who had cerebral palsy. How would he have liked it if we made Ivan Cameron pay for that awful tax?